View the FIQCS Conference page for more information. Conference videos are available online now. 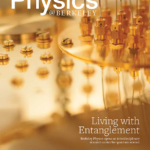 CQCS was featured on the cover page of the UC Berkeley Physics Fall 2016 Magazine. This panel was hosted in Sibley Auditorium, Bechtel Engineering Center at UC Berkeley. 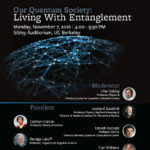 The Center for Quantum Coherent Science at UC Berkeley, is an intellectual nexus that explores the richness, complexity and practical application of quantum mechanics, quantum states, and quantum systems. 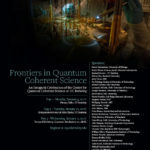 CQCS pulls together scientists from the sub-fields of atomic and optical physics, condensed-matter physics, quantum information science, and high-energy and string theory and houses them all under one roof. But the real strength of Berkeley’s Center for Quantum Coherent Science is its community of students and postdoctoral researchers, young scientists who are developing their unique perspective on scientific work in an interdisciplinary environment. By providing an expansive new forum for investigating the complexities of quantum science and its practical applications, the potential for new scientific discoveries and technological advances is immense. They range from quantum computers and simulators capable of solving classically intractable problems—including the description and synthesis of complex materials—to secure communications hardware and new types of coherent sensors with unparalleled resolution.